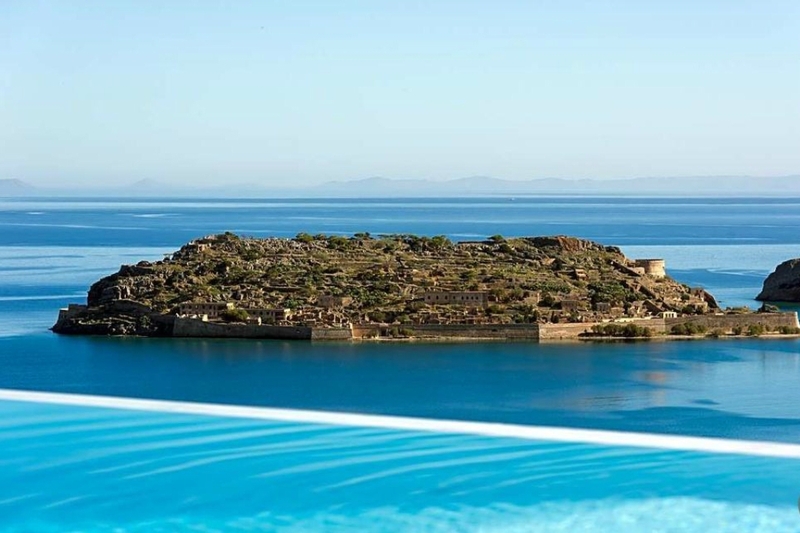 A tourist resort of international repute at Eastern Crete, to the north of Agios Nikolaos, with a lacy coastline, leeward beaches, crystal-clear sea, a serene and stunning landscape. At a distance of 70 km from the Heraklion international airport, a bare 10 km north of Agios Nikolaos. 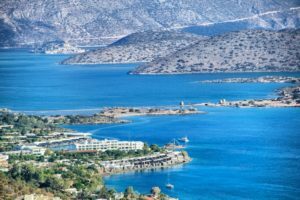 Elounda is accessible by way of a winding road clung to the hillside, affording the opportunity of a dramatic view over the gulf of Mirabello and the bay of Korfos. Built at the southern shore of the inland bay by the same name. It is located 1 km west of the ancient city of Olous, whence it derives its name. 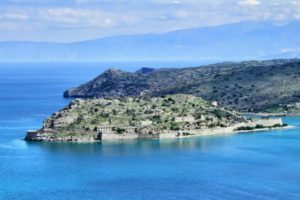 It is an area favoured by the mythical personages of Minoan Crete and of illustrious historical personalities of our times. Elounda: a place easy to speak about but defying description; a place one can savour through the senses and then. dream about. Ancient Olous lies indeed at a very small distance from the modern town. The area has known organized settlements since the Minoan era. Olous was among the most important hundred cities of ancient Crete, boasting a population of over 30,000. The Olountian administrative system was a type of democracy called eunomia. Deities worshipped there were Zeus Tallaeus, Apollo and goddess Artemis Vritomartis, with a classical temple devoted to her. Olous had its own coins. Historian Nikos Svoronos identifies 11 different types; most of them carry a relief of Artemis Vritomartis on the front side and Zeus bearing an eagle, or a dolphin, or a star on the back side. The peak period of Olous was continued into the early Byzantine era, as witnessed by the Basilica of Poros with its beautiful mosaic, open to the public for visiting, as well as the Basilica of Kolokytha with its exquisite white marbles. The city and the surrounding area were sacked and abandoned in the 7th century because of the raids of Arabs throughout the Mediterranean. 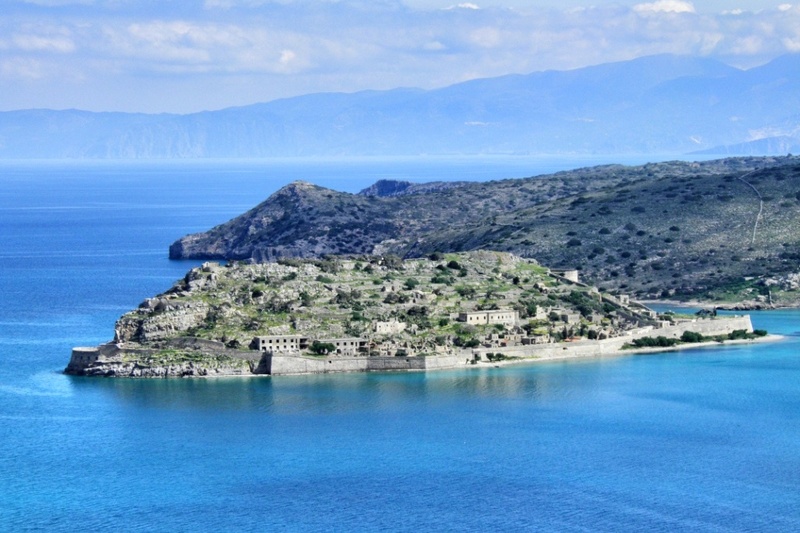 At a distance of 2 nautical miles from Elounda lies the renowned “Island”, Spinalonga, open to visitors, reachable by a short boat ride. Its ancient name was Calydon, but it was the Venetians who gave it its present name, meaning long spine. The small island has been keeping that name since then. The Venetians fortified it strongly in 1574 and built it in a stunning way, combining high architectural, structural and landscaping aesthetics, in a way that still keeps its beauty intact. The Ottomans took over the island in 1705, dwelled it and created a large urban area, whose remnants still survive. In 1905 the Greek state started using the island in 1905 as a lepers’ colony, operative until 1957. The visitor of Elounda can take pleasure in the sea, enjoying a swim at the crystal-clear waters of beaches at and near Elounda, awarded the Blue Flag of the European union year after year. Right beside the picturesque port town, locally called Skhisma, lies the municipal beach. A large swimming area adequately organized and equipped, ideal for marine sports, with a number of tavernas and cafes next to it, attracting thousands of visitors every year. Roughly 800 m to the east of Skhisma lie the blue-flagged beaches Hiona and Poros. 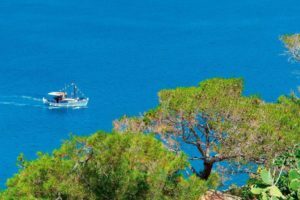 More beaches for good swimming lie further up: Dreros beach, lush in tamarisk trees, as well as the two sparkling white pebbled crystal blue beaches by the houses and taverns of Plaka and, finally, Aghia Marina, at the far edge of the settlement. Driving past the channel along a dirt road, you can reach the church of Agios Loukas (St Luke). If you park there and walk downhill, you will find yourselves right by the green-blue waters of Kolokytha beach. 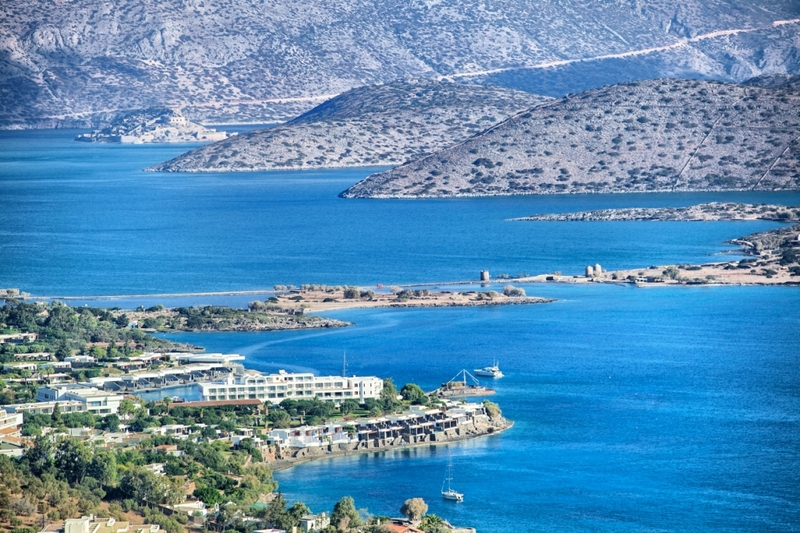 Elounda now has 2,200 inhabitants split among its six settlements; most of them live at Skhsisma and occupy themselves with tourism as well as fishing. The area today boasts prestigious hotel complexes, mostly high-class luxury hotels. They often figure in the top 100 list of hotels of the entire world, and have often had outstanding personalities of the international social, financial and political elite as guests. 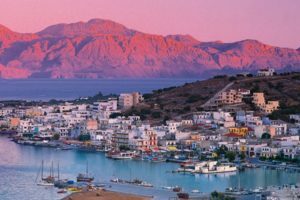 The fame of Elounda has been significantly boosted by the shooting of the 1964 Walt Disney movie “The Moon-Spinners”, which gave an initial impetus to a slow but secure flourishing of tourism in the area. 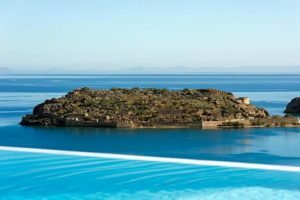 The recent filming of the Greek top-grade TV series “The Island” at Elounda and Spinalonga, after Victoria Hislop’s best-selling novel, made the area a household item and brought in thousands of tourists from all over.